A new student fee of $750 per student will be due with the enrollment contract. This one-time, non-refundable fee is in addition to tuition. New students (siblings) from families enrolled at the school prior to 2018-2019 will be grandfathered into this new arrangement. Tuition fees cover the cost of the educational program. Tuition includes all books, most supplies and most field trips. Tuition does not cover the school uniform, hot lunch, a yearbook, a graphing calculator required beginning in eighth grade, the week-long eighth grade trip to Washington, D.C.,* the optional Junior Class Trip to Europe* or athletics participation for students in seventh grade or higher. *The school works with parents to help raise funds to cover a portion of the cost of the eighth grade trip as well as the optional Junior Class Trip to Europe. Geneva School of Boerne uses FACTS Tuition Management Services to help make tuition payments more manageable for parents/guardians. Because of financial commitments the school must make in the spring preceding each school year, Geneva begins billing tuition in March (through FACTS Tuition Management Service) with the final payment due in December. Families new to Geneva School will begin payments one month subsequent to enrollment with the final payment due in December. Questions about tuition or payment schedule can be directed to School Registrar Kate Luffy at 830.755.6101, ext. 206. Geneva offers financial assistance to families with students in good standing and with a demonstrated financial need. Families seeking financial assistance must apply for consideration. Assistance is awarded to qualified candidates on a year-by-year basis (i.e. an award one year does not guarantee future assistance, and a decision of “no award” one year does not guarantee the same result will necessarily be reached in the future). Because Geneva’s ability to provide financial assistance is limited and since the process is detailed and time-consuming for applicants, we encourage families to carefully consider their needs before applying. It is Geneva’s desire to offer financial assistance to as many students as possible. In 2018-2019, 14% of our student body received financial assistance with an average award amount of $4,057. The financial assistance may cover up to (but not more than) 75% of the current year’s tuition for each student—the remaining balance is to be paid by the student’s family.  It is the hope of Geneva School that all families will fully engage in Geneva’s culture, including attendance/participation in school functions and events when possible. It is remarkable that some Geneva families elected to voluntarily reimburse the school over the years for financial assistance they received, as their circumstances allowed. This practice is certainly not required, but is deeply appreciated by those who are able, because it allows Geneva School to provide assistance to more families in need. Financial assistance at Geneva is awarded solely on the basis of financial need. Geneva uses an outside agency, FACTS Grant & Aid Assessment, to analyze and organize applicant’s financial data and evaluate financial need. There is a processing charge of approximately $35 paid by the applicant. Click here to learn about the filing requirements with FACTS Grant & Aid. Families interested in applying for financial assistance may contact School Registrar Kate Luffy at 830.755.6101, ext. 206. Interested families should complete the online financial assistance application found here. The applications for new families are due by January 31 in order to be considered in the first round, but awards are not made until after the Admissions Committee makes its decision on the admission application. Please note that applications for admission and financial aid for new families run concurrently. All financial information provided is held in strict confidence and is only viewed by the Financial Aid Committee (i.e. the Admissions Committee does not receive information regarding financial aid requests and, therefore, admission is not affected by such requests). The School Registrar will notify families of the decisions made by the Financial Aid Committee.